There has been a lot of hype in the security video marketplace in recent years about the advent of megapixel (1 million or greater pixel resolution) video cameras. Much of the buzz is certainly justified. 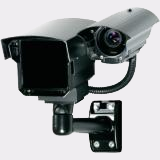 IP Megapixel cameras have revolutionized the design and performance of video surveillance systems. However, problems can arise with any new technology when expectations begin to exceed real-world performance. 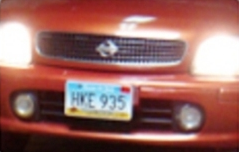 One example of this is the deployment of megapixel cameras for license plate recognition (LPR). LPR is a familiar but often misunderstood subset of video surveillance. From my earliest days as a security installer (think vacuum tubes) I was the victim of over zealous sales promises of reading license plates. In the analog video days most people quickly realized that to get LPR with any kind of reliability you needed a dedicated camera system that was designed for the application. 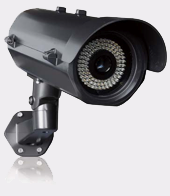 These systems were (and are) relatively expensive compared to a conventional security camera. They can generally be divided into two categories – high contrast and color overview. Both types have strengths and weaknesses that should be reviewed before specifying them for a particular application. The high contrast systems are used to overcome the common problem of varying lighting conditions – particularly the tendency of vehicle lighting to overwhelm the contrast range of the camera at night. They are able to do this by utilizing a dedicated illuminator that emits a specific frequency of light and a camera that is optimized to capture only this illumination. Because of this, they are completely immune to changes in lighting conditions and produce the same results day and night. These systems depend on reflective surfaces to return the illumination to the camera’s imager and do not produce color images. Due to this limitation they are often paired with conventional cameras to produce a color overview of the event. Recent improvements in processor and imager technology have allowed for the introduction of full color systems that still produce reliable results. These color overview systems utilize advanced features such as increased WDR (Wide Dynamic Range), DNR (Dynamic Noise Reduction), widely adjustable electronic shutter speed, intelligent fog and smoke penetration, intelligent traffic modes (adjustable for various target speeds), and increased sensitivity in low light conditions. They will normally produce a conventional color image during daylight hours and black and white image at night. Both types of LPR systems have specific guidelines for selection and installation including angle to the target, distance to the target, and speed of the target. With the advent of megapixel resolution capabilities, suddenly many camera manufacturers are advertising the ability to read a license plate at a given distance, or field of view, based solely on the presence of enough pixels being available to define the image. This is usually expressed in “pixels per foot” (ppf) or “pixels per foot on target”. Generally, if you have at least 60-80 ppf there will be enough information to read the detail on a target like a license plate. However, these claims ignore the challenges of vehicle lighting at night, speed of the moving target, and angle from the camera to the target. As a result, many contractors are deploying megapixel cameras to cover parking or other wide areas with disappointing results. Cameras that produce acceptable images during the day are often completely inadequate at night when glare from headlights or street lamps are introduced. 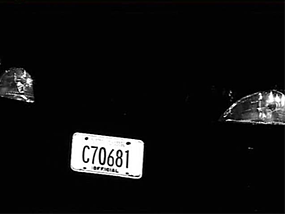 Standard Megapixel cameras generally perform best for LPR in applications during daylight hours (or in situations where the vehicle lights will be switched off), when the vehicle will remain stationary at least momentarily, and the plate is within 30 degrees of being perpendicular to the camera lens. An example of a proper application would be a gas station that has good lighting at night and positions megapixel cameras to capture plates from vehicles that are parked at the pumps. If these conditions can’t be met, it is still best to offer a purpose built LPR system as a solution. If the customer’s budget can’t accommodate this, then they should at least be made aware of the potential limitations of a megapixel only solution.